Most of you know I'm on a journey to get healthier hair and Argan Oil continues to be a product that I hear a lot about. 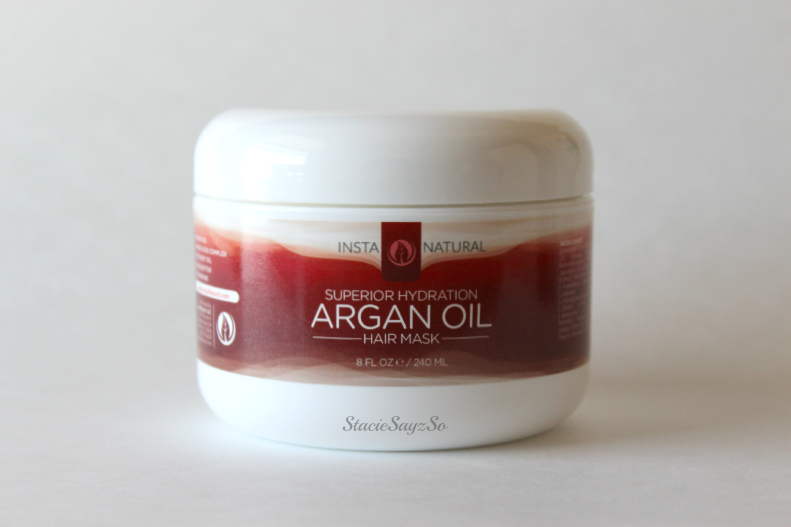 I had the opportunity to review free products from InstaNatural, a newer company to me, and decided to try out the InstaNatural Argan Oil hair Mask & Argan Oil. InstaNatural Argan Oil Hair Mask is a deep conditioning treatment that helps with repairing dry, damaged hair and leaving it soft and silky. 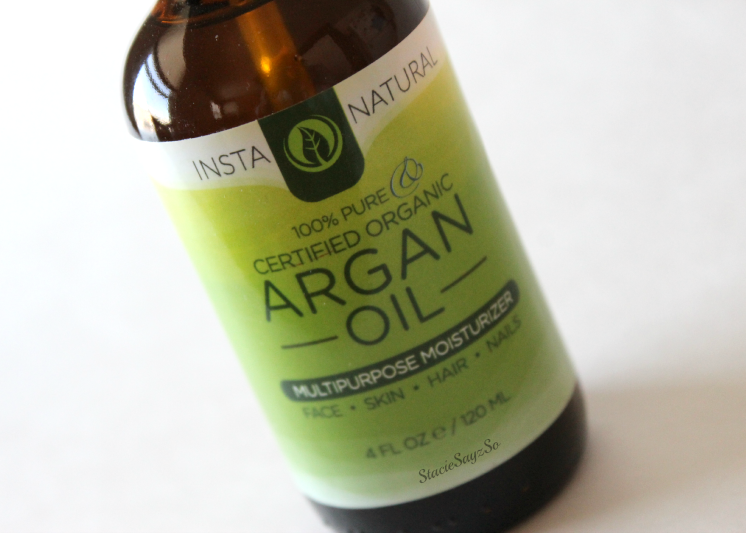 InstaNatural Organic Argan Oil is 100% pure certified organic and can be used as a multipurpose moisturizer. This stuff works everywhere! I've been using it in my hair to help moisturize it and give it added shine. But don't stop there. I've used this on my hands which are always dry during the winter months, and my nails and cuticles love this stuff! It absorbs well too, so you don't have to worry about having the "greesies". Got dry, flaky feet? Rub a few squirts on your feet and cover with thick socks. It helps get rid of stubborn dryness. 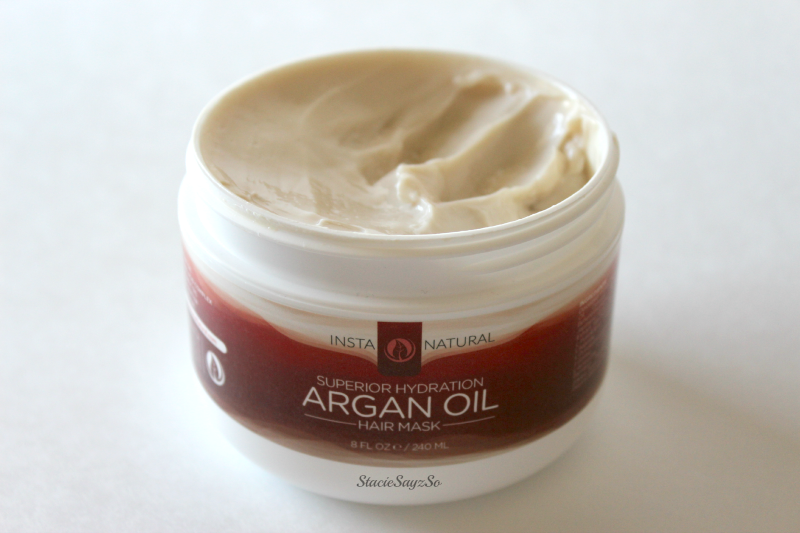 The InstaNatural Argan Oil Hair Mask is everything! It smells soo good, almost like a nutty vanilla scent and the consistency was that of a thick pudding. My strands were smooth and moisturized after using it. What can I say about the InstaNatural Argan Oil? I love it and will be using it quite a bit. It doesn't really have a scent, but that's fine. 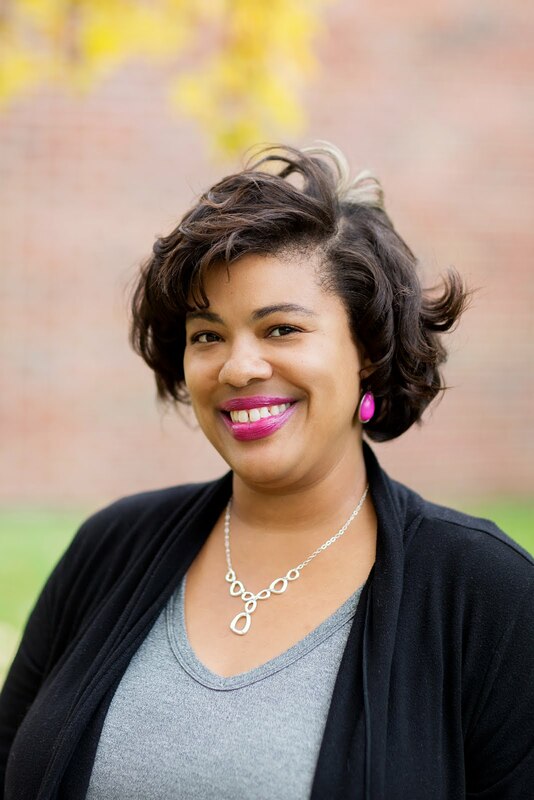 I am so pleased with these products! Sometimes you try something new and you don't really know how it's going to turn out, but these did not disappoint! "Stacie Sayz go try this, girl!" So which product are you most interested in trying out? I liked both of these products too. They both made me want to try other products from InstaNatural. I love a good hair mask. I've never heard of this brand, but I'll be sure to be on the look out for them. You should! It's honestly one of the best that I have tried. Somewhere down the line after baby #3 my hair has changed! I would be interested to try this product to get some moisture back for sure! Isn't it funny how hair can change on you? Mine is going through some thangs as well! Well so far, I am really enjoying both of these Argan oil products. I've heard about it everywhere, but this is the first time I've tried Argan oil. It's working well so far. Victoria, I got the Deborah Lippmann nail polish from Sephora. She's been out for a while so I think you can find her at other beauty stores too. You should try this one, Louida. It smells so good and works pretty well on parched hair like mine! Who knew you could make reservations at White Castle! Hey, what works for you, works for you. I love the concept of sweet nothings on Valentine's Day. Something hand written, small and from deep inside you. I know, isn't that crazy? But hey, it's always sold out so it must be fun for some folks. Thanks for stopping through! My perfect Valentines would be grabbing coffee & pastries then heading to the beach for a walk then lunch nearby. After heading home for a romantic movie. If we do one of the three I'd be happy too. The Mr. would love it if I made steak wrapped in bacon. Yum! Great ideas! Happy Weekend Stacie. Yep, you use it like you would use your conditioner. I don't have natural hair, but I bet this would work well on your locs! I love your site and this post. It is hard - as a natural - to find off the shelf products that really work. I will be looking these up. I use argan oil when I blow dry my hair, but I haven't heard of this brand! Hmm, now that's a great tip! I think I'll try that when I blow dry my hair too. 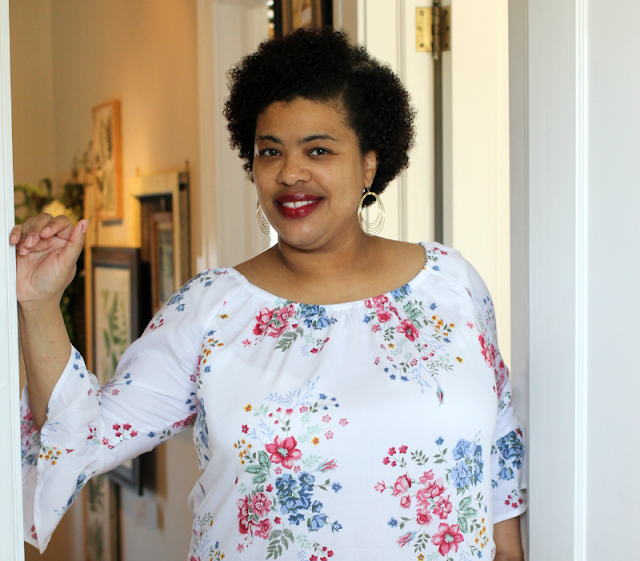 Stopping by from the linkup at Product Review Mom. I think it worth try out. It will help smooth your hair and put moisture back in. Thanks for stopping by! I just love their products!! :-) Productreviewparty! this product sounds amazing....I love to have hair masks and specially like the ingredients in this product. I have some body cream and lip balm with arrange oil in it and although it works well I don't like the smell of that particular product. So I'll need to find straight arrange like you reviewed. Good review! I would like to try the oil, my hair is super dry!